Using an Altimeter as a Barometer--Fun! I'm very interested in the process by which beginning students learn chemistry. One of my innovations is "Data-Driven Chemistry," which I use when teaching our interim course, Chemistry 123, Atomic and Molecular Structure. The data-driven method is based on the idea that science is fundamentally data-oriented. As applied to introductory chemistry, the idea is to present students with sets of information ("data") and get them, working in groups, to build clear, concise models of atomic and molecular structure strictlyfrom the data presented. produced tightly focused essay-style reports interpreting the data. Also available on the Web is an evaluation including student comments relating to Molecular Origami and Data-Driven Chemistry from Chemistry 123, 1995. S.P. Tully, T.M. Stitt, R.D. Caldwell, B.J. Hardock, R.M. Hanson, P. Maslak, "Interactive Web-Based Pointillist Visualization of Hydrogenic Orbitals Using Jmol", J. Chem. Educ. 2013, 90, 129-131. R.M. Hanson, "A Unified Graphical Representation of Chemical Thermodynamics and Equilibrium" J. Chem. Educ., 2012, 89, 1526-1529. Noel M O'Boyle, Rajarshi Guha, Egon L Willighagen, Samuel E Adams, Jonathan Alvarsson, Jean-Claude Bradley, Igor V Filippov, Robert M Hanson, Marcus D Hanwel, Geoffrey R Hutchison, Craig A James, Nina Jeliazkova, Andrew SID Lang, Karol M Langner, David C Lonie, Daniel M Lowe, Jerome Pansanel, Dmitry Pavlov, Ola Spjuth, Christoph Steinbeck, Adam L Tenderholt, Kevin J Theisen, and Peter Murray-Rust "Open Data, Open Source and Open Standards in chemistry: The Blue Obelisk five years on" Journal of Cheminformatics 2011, 3:37 10.1186/1758-2946-3-37. Robert M. Hanson, Daniel Kohler, Steven G. Braun, "Quaternion-based definition of protein secondary structure straightness and its relationship to Ramachandran angles" PROTEINS 2011, 79, 2172-2180. S. Unni, Y. Huang, R.M. Hanson, M. Tobias, S. Krishnan; W. Li; J.E. Nielsen, N.A. Baker, "Web servers and services for electrostatics calculations with APBS and PDB2PQR", J. Comp. Chem. 2011, 32, 1488-1491. Robert M. Hanson, "Jmol -- A Paradigm Shift in Crystallographic Visualization" J. Appl. Cryst. 2010 43, 1250-1260. A. Herraez, R.M. Hanson, L. Glasser, "Interactive 3D Phase Diagrams Using Jmol" J. Chem. Educ. 2009 86, 566. R. M. Hanson, P. Riley, J. Schwinefus, P. J. Fischer, "Using Graphs of Gibbs Energy versus Temperature in General Chemistry Discussions of Phase Changes and Colligative Properties" J. Chem. Educ. 2008 85, 1142. M. A. Klingshirn, A. F. Wyatt, R. M. Hanson, G. O. Spessard, "Determination of the Formula of a Hydrate: A Greener Alternative" J. Chem. Educ. 2008 85, 819. Robert M. Hanson and Susan Green, Introduction to Molecular Thermodynamics University Science Books, 2008) check it out! 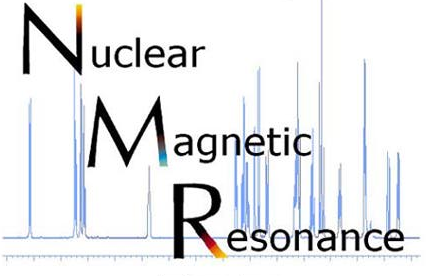 Robert M. Hanson, "24/7 dynamic NMR spectroscopy: A new paradigm for undergraduate NMR use" in Modern Nuclear Magnetic Resonance in Undergraduate Education, D. Rovnyak, Ed., ACS Symposium Series No. 969, 2007, 62-76. Robert M. Hanson, "Orbital" in "General Chemistry Collection, 7th Edition, a CD-ROM for Students," Jon L. Holmes and Nancy S. Gettys, Eds., J. Chem. Educ. 2003, 80, 709 check it out! 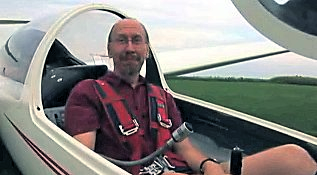 Robert M. Hanson, "Orbital" J. Chem. Educ. 2003, 80, 109 check it out! Robert M. Hanson, "Principal Species and pH in Acid/Base Solution" J. Chem. Educ. 2002, 79, 1486 check it out! Robert M. Hanson, "Chemical Name Game" J. Chem. Educ. 2002, 79, 1380 check it out! Robert M. Hanson, "What's in a Name?" J. Chem. Educ. 2002, 79, 1380 check it out! Robert M. Hanson, "Mechanism-Based Kinetics Simulator" J. Chem. Educ. 2002, 79, 1379 check it out! Robert M. Hanson, "Huckel Determinant Solver" J. Chem. Educ. 2002, 79, 1379 check it out! Robert M. Hanson, Epoxide Migration (Payne Rearrangement) and Related Reactions, in Organic Reactions, Vol. 60, Larry E. Overman, et al., Ed., pp 1-156 (Wiley, 2002) check it out! Robert M. Hanson, Molecular Origami: Precision Scale Models from Paper (University Science Books, 1995, 224 pp.) check it out! G. L. Hardgrove, J. S. Clark, A. Q. Thieu, R. M. Hanson, "Structure of (S,S)-(E)-3-(2-butenoyl)-2,4-bis(phenylmethyl)oxazolidine" Acta Cryst. C49 1993, 336. Robert M. Hanson, "The Synthetic Methodology of Nonracemic Glycidol and Related 2,3-Epoxy Alcohols" Chemical Reviews 1991, 437-475. Yun Gao, Robert M. Hanson, Janice M. Klunder, Soo Y.Ko, Hiroko Masamune, and K. Barry Sharpless, "Catalytic Asymmetric Epoxidation and Kinetic Resolution: Modified Procedures Including in Situ Derivatization" J.Amer. Chem. Soc. 1987, 109, 5765. Robert M. Hanson, "FLATLAND and the Threefold Challenge of Text and Chemical Graphics Integration" in Graphics for Chemical Structures, W. Warr, Ed. ; ACS Symposium Series #341; American ChemicalSociety: Washington, D.C., 1987. Robert M. Hanson and K.Barry. Sharpless, "Catalytic Asymmetric Epoxidation" J. Org. Chem. 1986, 51, 1922. Robert M. Hanson, "Absolute Stereochemistry of the Triol Moiety of Gymnoprenols: A Reinvestigation" Tetrahedron Lett. 1984, 23, 3783-6. Robert M. Hanson, "Studies Directed Toward the Total Synthesis of the Steroidal Alkaloid Germine" Ph.D. Thesis,Columbia Univ., 1983.